1. 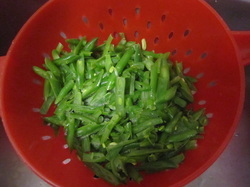 Wash & Cut french beans preferably diagonally about 2 inch long. Keep aside. 3. Add Spices & daals: put mustard seeds & let it crackle. 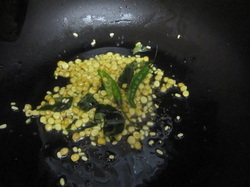 Add both the soaked daals, hing pd, curry leaves, slit green chillies, & turmeric pd. 4. 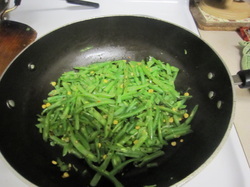 Add cut beans. Add salt & chilli pd or crushed red pepper. Stir & add 2 spoons water. Cover & cook for 10 min. Stir occasionally. 5. 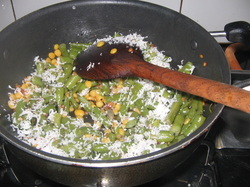 Add coconut & coriander leaves. Mix all. Cook for 2 min. Serve HOT with chappattis or paranthas/pooris!! 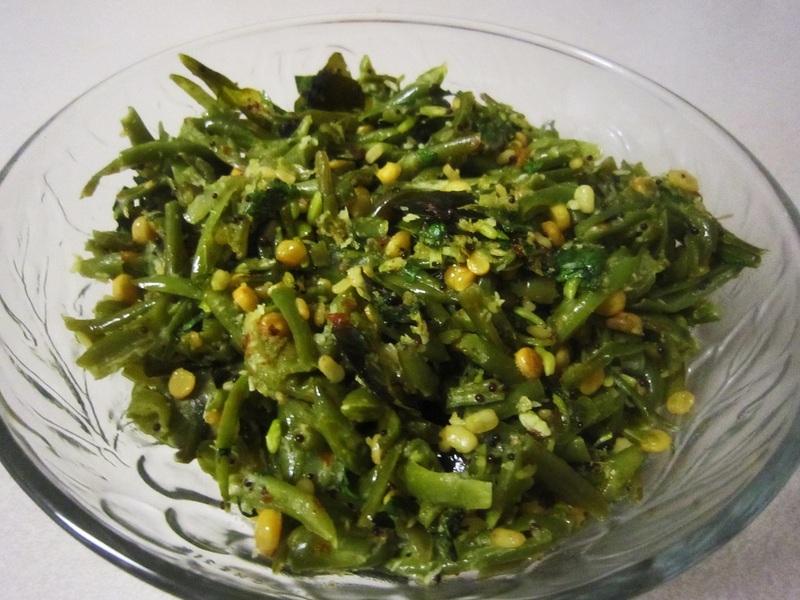 Try out this simply awesome yet easy dish made from green beans, some coconut & soaked daals & spices. It has south Indian flavor to it & I'm sure you will like it as much as I did. Friends post ur tips under comment section & I will add it here.